The KA431AZ is three-terminal adjustable regulator with a guaranteed thermal stability over the operating temperature range. The output voltage can be set to any value between VREF (approximately 2.5 V) and 36 V with two external resistors. 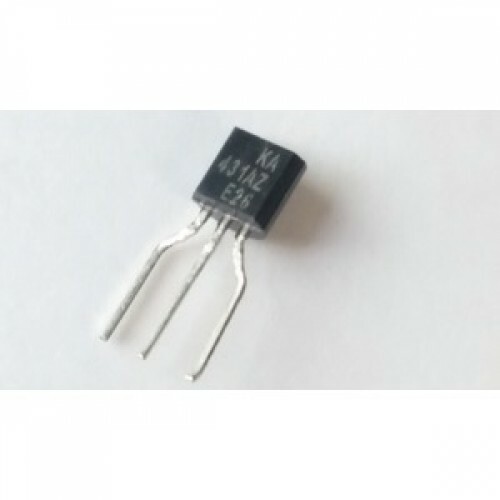 These devices have a typical dynamic output impedance of 0.2 Ω. Active output circuitry provides a sharp turn-on characteristic, making these devices excellent replacements for Zener diodes in many applications.